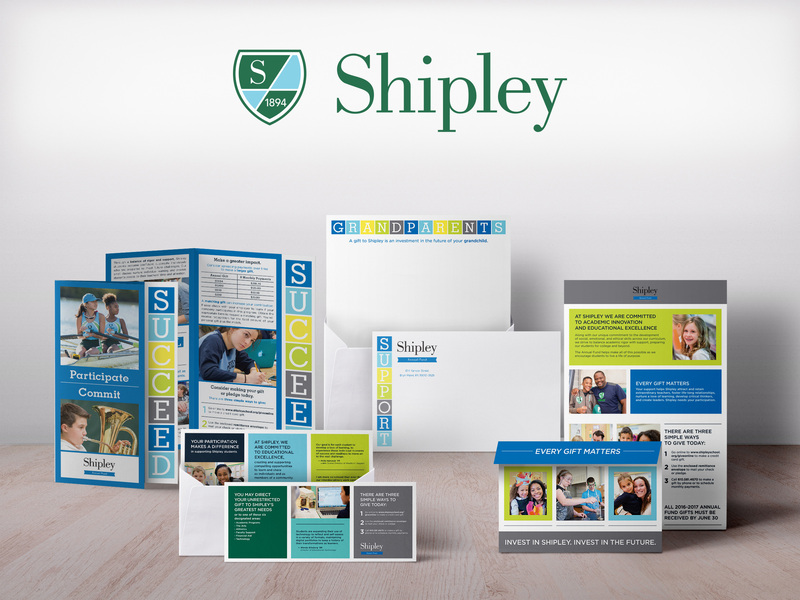 The Shipley School is a co-ed preK through 12th grade private school located on the Main Line. 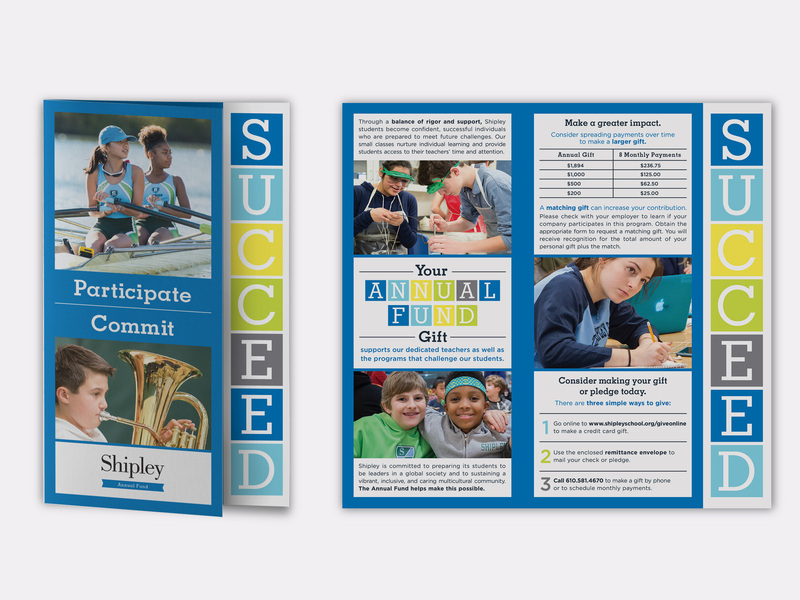 The Shipley School’s Annual Fund is a yearly campaign with quarterly solicitations to different segments – alumni, parent, and Leadership Council donors. 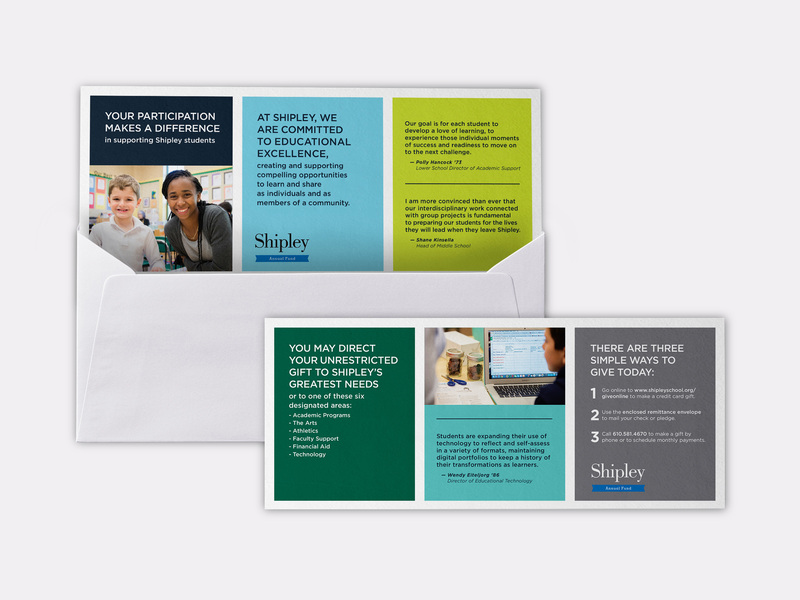 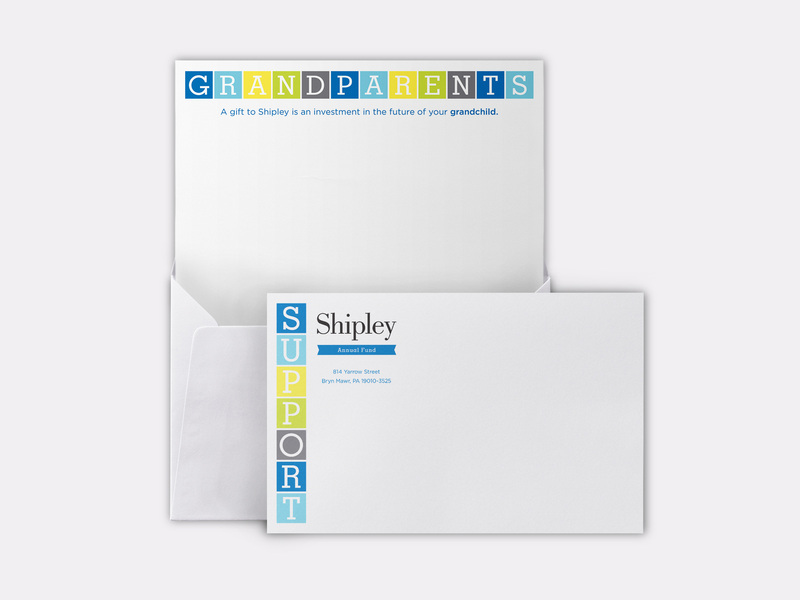 Each drop is a different format – self mailer, buckslip, or postcard. 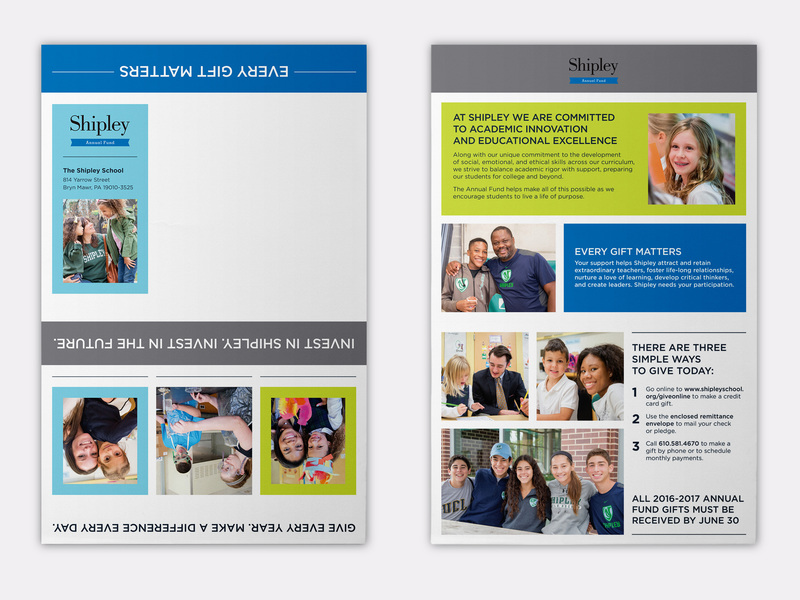 To provide a subtle hint that the yearly fundraising drive is a building block to children’s education, each mail drop featured brightly colored squares and stories of why it is important to contribute to the Annual Fund.